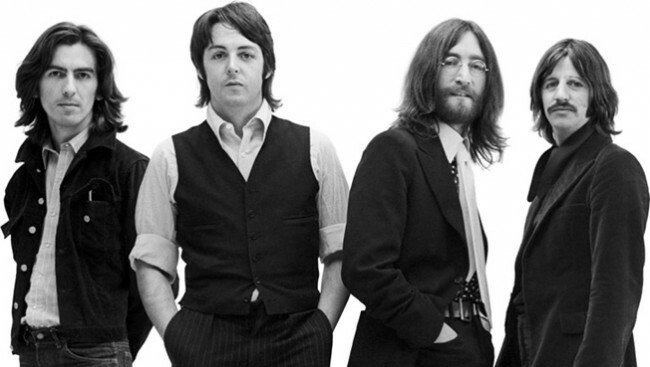 Rolling Stone magazine recently conducted an online poll to see what the music listening public felt are the best post-Beatle songs by ex-Beatles. Stu Sutcliffe and Pete Best, the two band members who came and went before the group got insanely popular, had no post-Beatle musical success. Stu left in 1962 to devote his energies to painting and Pete was jettisoned the same year by the group’s manager, Brian Epstein. So they are easily dismissed from the conversation. That leaves us with the four other chaps. Forty-three years have passed since the Beatles took the train to Splitsville, give or take a few months. It can be reasonably assumed we have seen the best music these blokes will give us. This assumption is buoyed by the unfortunate truth John and George are gone. I suppose some “lost” recordings may emerge, but how likely is it any “lost” material will be that good? There are sound reasons most music ends up “lost” in the first place. With those two moptops out of the picture we can concentrate on Ringo and Paul. New Ringo music ain’t happening since he is retired. Honestly no one really expected much from him back when he was freshly dripping with Beatle afterglow, so even if he were actively crashing the cymbals at 73… Then there is Sir Paul, still recording and touring, bless his keeping calm and carrying on Liverpudlian heart. That is great and more power to him and all, but would you wager any scratch he has a stunning masterpiece left to offer, one which carries enough oomph to crack the top ten? Me either. The timing of this poll can be called many things, but premature is not one of them. What did the loyal RS readers pick? To no one’s surprise “Imagine” tops their list. John, Paul and George each copped three spots while Ringo managed to slip one in there. As we know most lists are such flighty, amorphous things, subject to the considerable prejudice of the people creating them. This one suffers from groupthink, especially since I do not particularly agree with many of the selections. What does one do in a situation such as this? One can rant and rave and belittle the taste of the picking public. That is always fun, but not terribly productive. The better choice is to educate, to create an alternate list. This is the route I chose. And since these are my choices the ensuing list is clearly better than the RS one as it displays impeccable taste. No doubt you will agree. I should note three of the songs below were on the RS deal, so in the spirit of fair play their position on that mediocre list is indicated in parenthesis on my superior one. Everyone gets something right now and then. For those scoring at home John nabbed five spots on my list, Paul three and George two. Ringo got shut out, although I dabbled with sticking “Photograph” at number 10 to give him some representation. But common sense won out. I suppose he will get over it. The Rolling Stone list can be found here if you simply must know the questionable taste of the people who participated in that poll. Okay, I give up. Why isn’t “Maybe I’m Amazed” on the list? The list doesn’t go to 11. You only say that because there’s truth to it. Gotta be Lennon’s Imagine. But I thought Ringo was the most attractive. That’s important to girls of a certain age. Yeah, it’s easy to see why “Imagine” grabbed the top spot. Try not to hate me, but as I was reading I realized I could only think of three songs by the ex-Beatles and only one of them made your list. Imagine, Live and Let Die, and Band on the Run. Can you imagine allowing a band on the run to live and let die? Well, could you? Well, call me weird, but my favorite post song is actually an album: McCartney’s Standing Stone. I love that in true artist fashion, he has continued to explore his craft, to push into new territory and go where others fear to tread. I’ve never listened to any of his classical stuff, but I love that you choose something so different. The other compilations you can do are to pick the best of the songs that each of the four wrote in a given year, ie 1972, then 1973 etc, which would give an indication of what each Beatles album of the time (if they hadnt had split) may have contained, minus collaboration moments of genius. Or not. It isn’t much. But it is all that is left. That sounds like, you know, work. Indeed. That is why, even as a Beatle fan, I haven’t bothered. I like the Beatles, and I like oldies in general, but I find it a challenge to not drill out my ears for any post-breakup solo work. However, these lists are always entertaining. Surely there’s one post-Beatle song which you can tolerate. My mom was in love with Ringo…. He was like the runt of the litter. Everyone loves the runt. I may revisit this with my own list. I’m sure you’re dying to know. I like “Photograph” too. There comes a point when it is really impossible to pick one song over another. If I were to redo this list today I’m sure there would be a few changes. And you should do your list!